Buy a watch that you can enjoy and pass on for generations. Vintage Watches and Collectible Timepieces - The Finest Brands in the World! Classic, elegant and timeless, a personal treasure that you will love. A conversation piece every time you wear it. We hand select only the finest pre-owned and 100% authentic watches. With over 25 years of experience and over 10,000 watches sold worldwide, you can buy with confidence. Luxury Brands include vintage OMEGA, Rolex, IWC, Cartier, Patek Philippe, Vacheron Constantin, LeCoultre, Piaget, Breitling, Movado, Bucherer, Girard-Perregaux and others. Our technicians clean and service each and every watch by hand to ensure that you receive a premium quality watch that is running great, looks fantastic and that you will enjoy wearing! We ship your watch WORLDWIDE via insured delivery from Beverly Hills, California, USA directly to your door. IF YOU ARE NOT 100% SATISFIED for any reason, you can return it for a full refund. Your satisfaction is our Top Priority. We have something special with sentimental value, a vintage watch gift to celebrate a milestone in life or to remember a loved one. 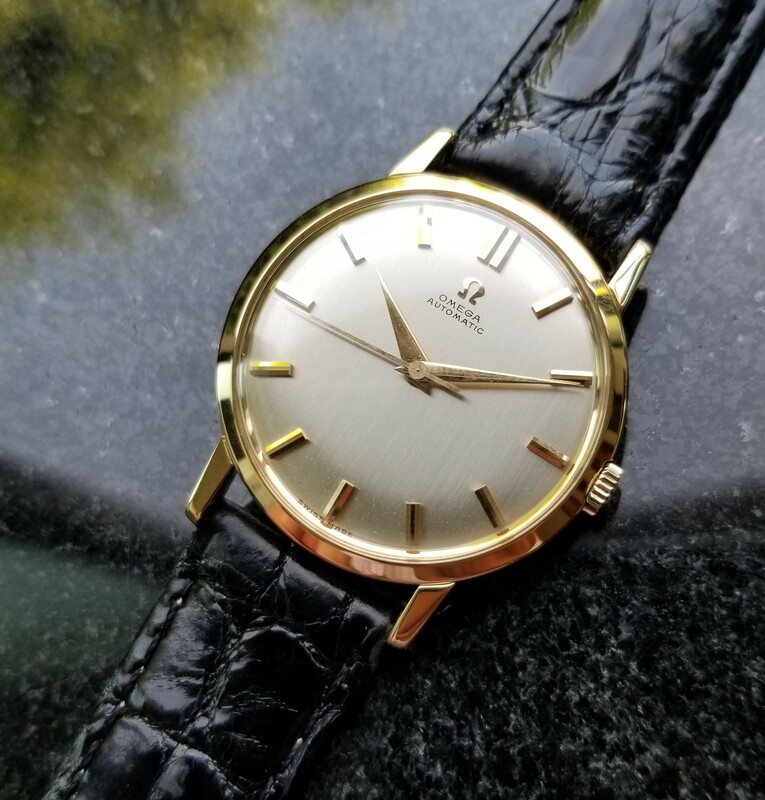 Vintage watches are affordable luxury items that make you feel great! A conversation piece every time you wear them. We offer the finest Brands and most varied selection of pre-owned and vintage collectible watches on the web!